Discussion in 'Introductions - New User Forum' started by Fitz, Jan 5, 2013. We are starting the process of building a number of tutorials for the forums. Once completed, we will be indexing all tutorials into a master list that will be made a "Sticky" for easy reference. 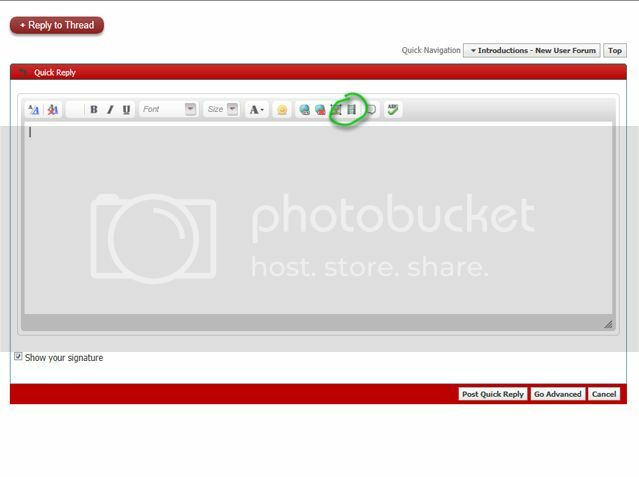 Here is a 'How To' for embedding videos into your posts in the forums. Once your video is uploaded you will need to copy your video's specific URL (example: http://www.youtube.com/watch?v=1234567 ). Next you need to start your reply. You can use either the "Quick Reply" at the bottom of ant given thread, or you can click the "Go Advanced" button that will bring you to the Advanced Reply screen. Once you click on the icon, a window will open with a space for you to enter in your video's ULR (the one you copied from your host site like YouTube). Paste the URL and click the "OK" button. You will now see your video's URL in your Reply enclosed in the VIDEO brackets as shown below. Once you finish your reply, post it like you would any other post and your video should be embedded. Here is test to see if i got it. Make sure your privacy settings for the video aren't set to "private"
Try it now. Not sure why it was locked but it was. Hopefully it works now. 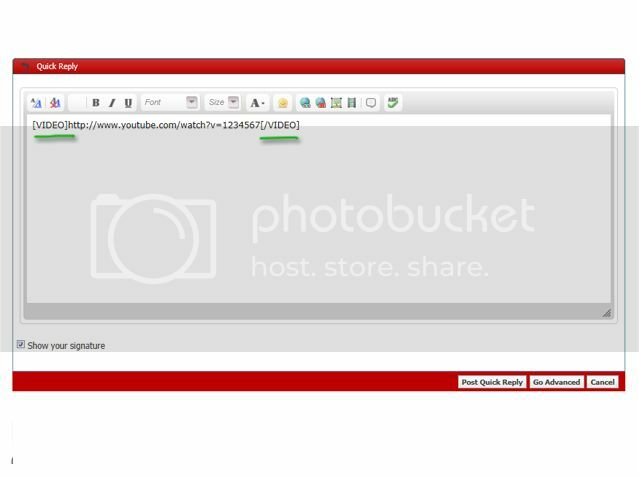 What code is used from photobucket for videos? I didn't see it listed. I think vimeo gives better quality but it takes much longer to upload your videos to it. Videos don't embed on mobile devices. If you're on a laptop or PC, it is. 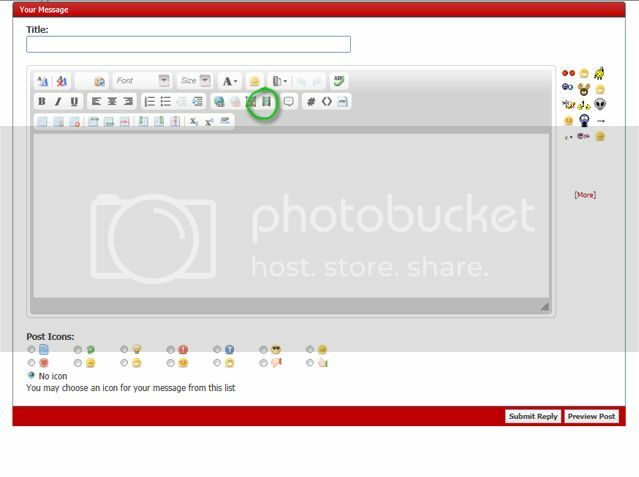 I do use Photobucket for my photos. I'll cover that in the photo tutorial soon. I can see it now...and honestly didnt know that. I swear ive watched embedded videos on my phone? This could get very interesting with these video uploads! 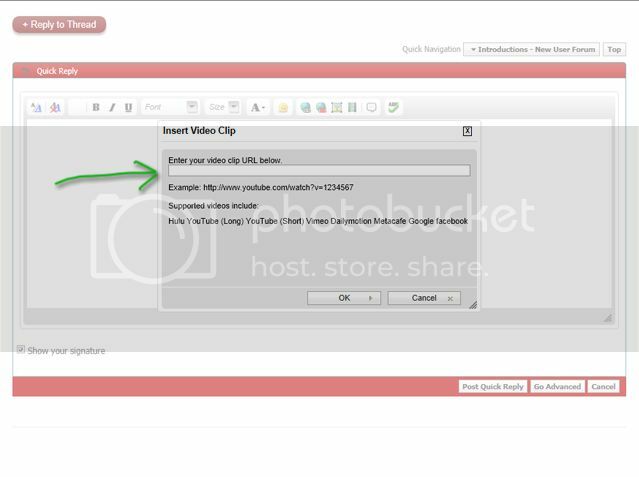 Once your video is uploaded you will need to copy your video's specific URL (example: YouTube ).